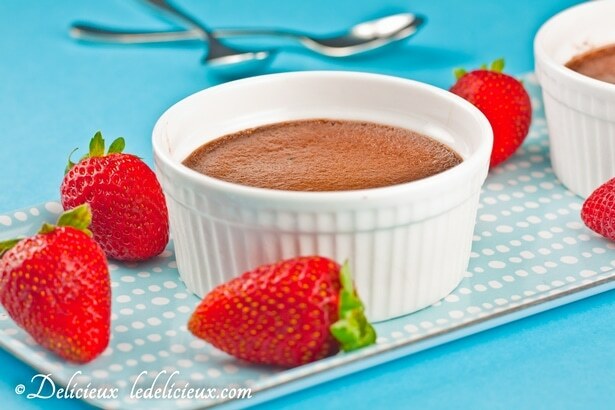 What could be better than Chocolate Pots de Crème? 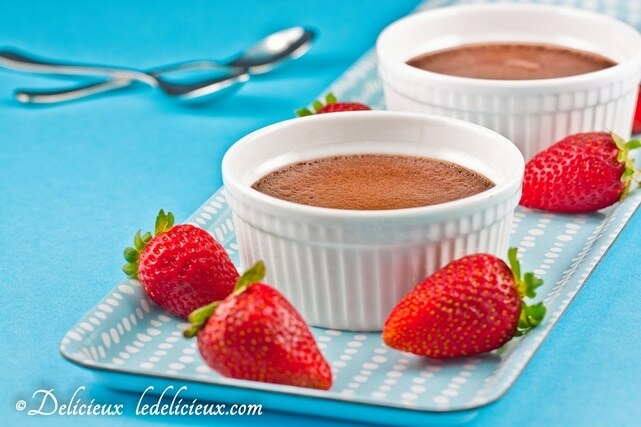 Strawberry Chocolate Pots de Crème!! I made Candied Lemon Cake to take to the barbecue we attended on the weekend, and was again left with 6 egg yolks. Not wanting to put them to waste, I immediately thought of the Chocolate Pots de Crème I made last time I made Candied Lemon Cake and was left with 6 egg yolks. This time though I wanted to do something a little different. As much as I love a rich gooey chocolatey pots of creamy indulgent goodness I thought pairing the chocolate with sweet syrupy strawberries would help cut through the richness. And I was right! The cooked strawberries were a welcome surprise at the base of the creamy chocolate pots and their tart sweetness was a welcome contrast to the rich chocolate. Do you enjoy chocolate and strawberries together? By the way, Saveur Magazine are calling for nominations for their 2nd annual Best Food Blog Awards. Nominations close April 22, so get in quick to nominate your favourite food blog and show your support for all the hard work that food bloggers put in to sharing their recipes and photos with you. Heat a frying pan over a medium heat and melt the butter before adding the strawberries and sugar. Cook for a few minutes until the strawberries soften and their juice develops a lovely red syrup. Set aside. Preheat your oven to 150 Celsius (300 Fahrenheit) and place ramekins into a roasting pan. Divide the strawberry mixture between 6 ramekins and then pour the mixture into the ramekins. Fill the roasting pan with hot tap water until it comes halfway up the side of the ramekins. Cover the tray with foil and bake for 30 to 40 minutes or until the custard is lightly set but jiggles when moved. Chill for at least 3 hours before serving. Wow – who knew there was a way to top chocolate pots de creme?! This is even better! 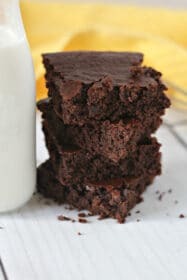 This looks so decadent and great recipe too! 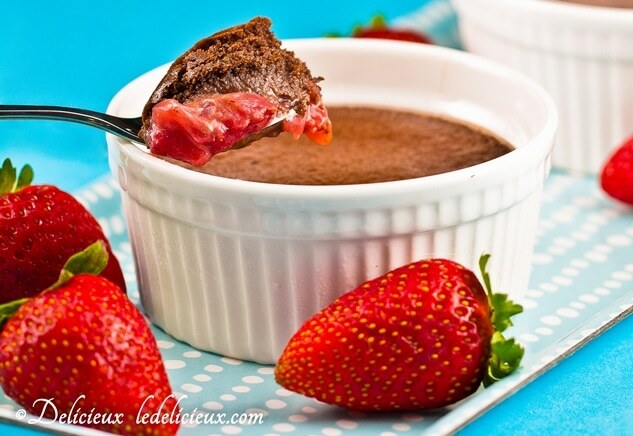 Oh my goodness this sounds incredibly delicious, I love strawberry and chocolate together! This sounds so scrumptious and a perfect treat for Easter! I haven't really tried pairing chocolate with strawberry but I am definitely giving this a try. It looks yummy! What a great way to use up yolks. Im goign to keep it in mind! My chocolate pot de creme recipe uses whole eggs! 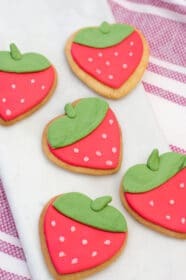 Oh and I love the idea of strawberries that are loghty sauted at the bottom. A nice surprise! What a great idea! Love those two together. Looks delicious. I love strawberries with chocolate, and this looks so rich. wow! this sounds like the best chocolate dessert ever… which reminds me I haven't made chocolate for quite some time now…. You really have made chocolate pots EVEN better!